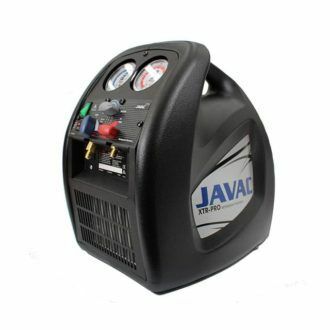 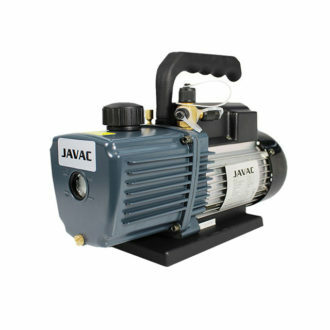 This brand new 2-way JAVAC R410a Manifold Set is designed and manufactured by JAVAC for use R410a refrigerant with 36″ hose set and large 80mm gauges. 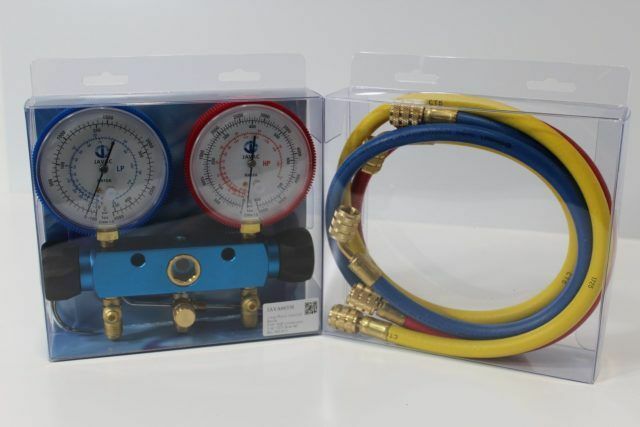 This manifold gauge and hose set is designed for professionals desiring to vacuum, charge, diagnose, or evacuate refrigerant in air conditioning and refrigeration systems. 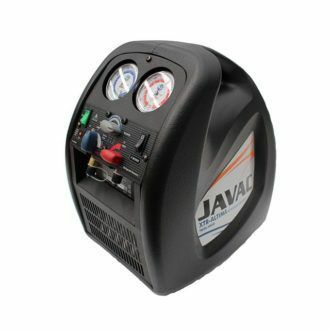 JAVAC manifold gauges are precision engineered with 1.0 accuracy, which is perfect for technicians in the field who need to be able to rely on the measurements given. 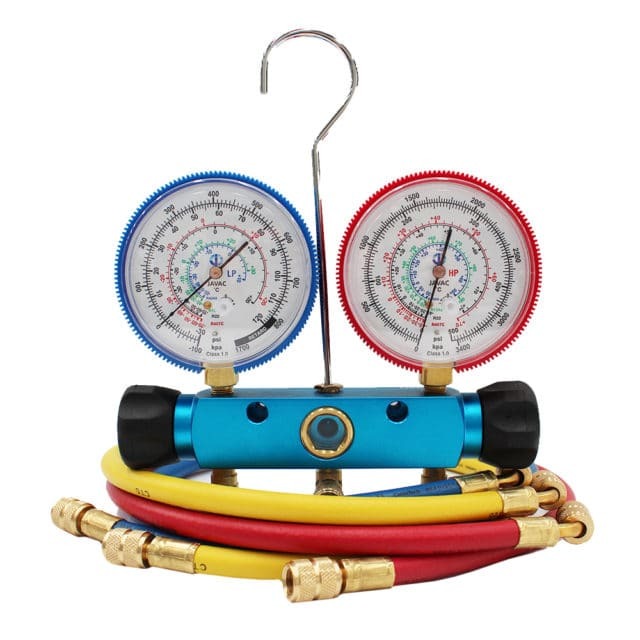 JAVAC’s manifold gauge sets are constructed of the best materials and machined with precision to the highest quality standards.